Attach this Birthday Bow to any male or female dog collar in celebration of his or her birthday. The birthday bow showcases a black background with Happy Birthday wording, balloons and streamers throughout. A birthday cupcake sits within the center of the knot. (The center decorations may vary depending upon stock availability.) ADD A MATCHING COLLAR TO YOUR ORDER IN THE OPTIONS. 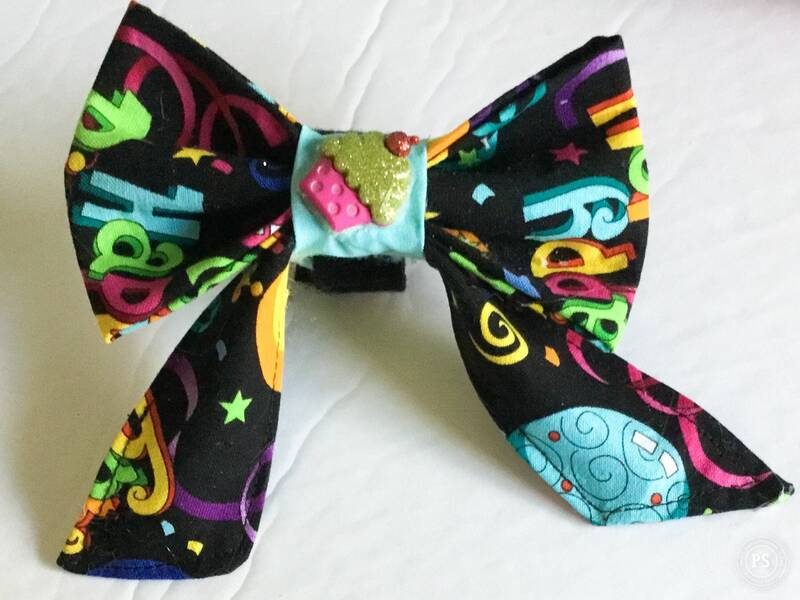 The Happy Birthday Bow attaches easily to the collar with wraparound velcro which I have attached to the back. I have also used felt as additional support for the velcro.